Rustic Nativity Scene Set only $13.99 shipped! Jane has this Rustic Nativity Scene Set for only $13.99 shipped right now! 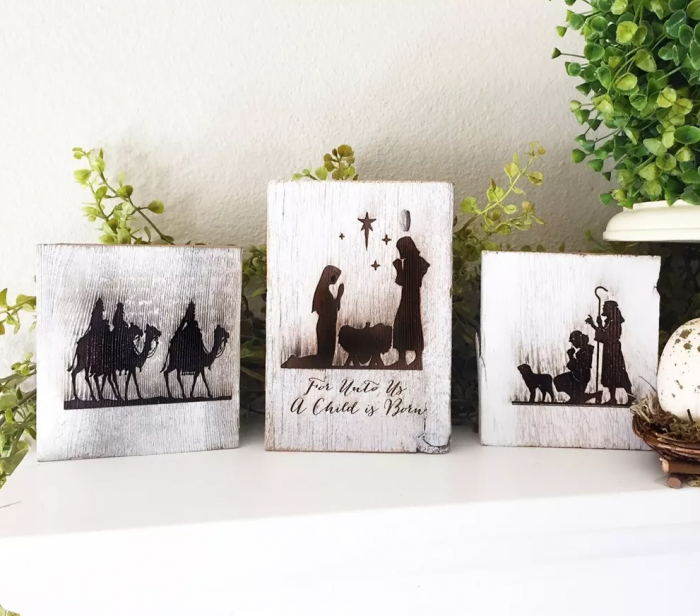 Each set has 3 pieces of the nativity scene, laser engraved on weathered barnwood. If you love the farmhouse look, these would be a cute addition to your Christmas decor!